National parks in Texas boast a wide array of ecosystems, from the High Plains of the Panhandle to the hot springs on the Rio Grande, and from Big Thickets cypress swamp and Padre Island in the east to the arid deserts of western Guadalupe Mountains. The sixteen national parks, monuments, historical sites, and seashores located in Texas and managed by the National Park Service garner nearly six million visitors each year. This article features the most relevant parks, alongside geology and history that make them great places to visit. Alibates Flint Quarries National Monument, located on the Canadian River in the Texas Panhandle near Fritch, is a geological park in the broken landscape of the Canadian Breaks of the Great Plains. Beginning 13,000 years ago and continuing into historic times, a type of vividly colored silicified dolomite called Alibates flint was mined here by Native American groups. They made tools and traded or carried them throughout the Great Plains and American Southwest and Mexican Northwest. The dolomite rock layer is limited to an 8-foot thick caprock layer, harder than the surrounding stone. Erosion has worn away much of the softer stone, creating the Canadian Breaks landscape. Archaeological traces of the prehistoric quarrying include villages and homes, workshops and campsites, as well as more than 700 round or oval quarries dug out by hand to between 4-8 feet deep and 6 or more feet in diameter. Many petroglyphs dot the dolomite caps at the mesa's edge, including a turtle image made when Plains Villages people lived here in the Antelope Creek village between 1150–1450 CE. Amistad National Recreation Area is located in south-central Texas, on the Rio Grande River near Del Rio. The name Amistad means "friendship," and the park combines a reservoir, 100 million years of geology, and historical buildings dated to the Civil War and the construction of the second transcontinental railroad, the Southern Pacific. The environment near the reservoir is extremely diverse, made up of plants and shrubland and desert at the transition between temperate and tropics (north/south), and between arid and humid (west/east). Many migrating birds and insects pass through the park every year, including the Interior Least Tern and Monarch Butterflies. Big Bend National Park, located on the Rio Grande River in west Texas, was established as Texas Canyons State Park in 1933 and built as part of the Civilian Conservation Corps during the Great Depression. Located at the northern end of the Chihuahuan desert, the area features desert cacti, mesquite and yucca plants, as well as lechuguilla and sotol agaves used to make distilled spirits. Over 450 species of birds have been recorded in the park, 42 percent of which are migrants, passing through the park at various times of the year. Big Bend is famous for having a long fossil record, from the late Cretaceous through early Tertiary periods. Pterosaurs, triceratops-like Chasmosaurus, giant crocodiles and early mammals, vertebrates and invertebrates are represented among the fossils, including the giant flying reptile known as Quetzalcoatlus northropi, which had a wingspan of over 35 feet. Big Bend has a hot springs district, the Langford Hot Springs, where a settlement and spa resort was first established in 1914. While the first bathhouse is long gone, visitors can still soak in the thermal springs within the foundations. Historical ruins in the park include Castolon, a small town that was established as military Camp Santa Helena in 1912 during the Mexican Revolution. The barracks were turned into the La Harmonia Company Store in 1921, and it is the oldest known intact adobe structure in Big Bend. The Mariscal Mine operated between 1900 and 1943, when cinnabar ore was quarried and processed to produce mercury. At the time, it provided one-quarter of the total mercury produced in the United States. Residences, stores, kilns, a railway track, and the main shaft are still intact elements associated with the mine. In southeastern Texas, near the Louisiana border, is the Big Thicket National Preserve, which features nine different ecosystems ranging from longleaf pine forests to cypress-lined bayous. The swamp cypress-tupelo forest decorated with Spanish moss and alligators is within a half-hour drive of a pitcher plant bog and a longleaf upland pine forest. Impacted by hurricanes Rita (2005), Ike (2008), and Harvey (2017), Big Thicket shelters numerous threatened and endangered animal and plant species, such as red-cockaded woodpeckers, Louisiana black bear, Louisiana pine snake, Texas trailing phlox, and Navasota ladies’ tresses. Guadalupe Mountains National Park in west Texas, near Salt Flat, features the world's most extensive Permian fossil reef, the four highest mountains in Texas, and an environmentally diverse collection of plants and animals. It was also the site of several battles between Mescalero Apaches and the buffalo soldiers, African-American participants in the Civil War. The reef, which was formed by sponges, algae, and the skeletal material of numerous organisms, thrived here for approximately five million years. 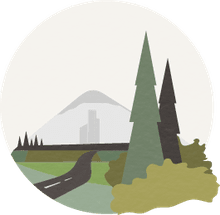 Today, the five diverse habitats range from gypsum dunes to succulent and shrub desert to semiarid grasslands and mixed coniferous forests of Douglas fir, southwestern white pine, and ponderosa pine. Over 1,000 plants have been recognized in the park, reflecting the park's intersection of the Rocky Mountains, Great Plains, and Chihuahuan desert. During the late 19th century, the Butterfield Overland Mail stopped here, and Frijole Ranch and Williams Ranch are extant remnants of the earliest Euroamerican settlers. Lake Meredith National Recreation Area, located on the Canadian River in the Texas panhandle, features dramatic 200-foot canyons, carved out into the high and flat windswept High Plains. Created by the Sanford Dam on the Canadian River, Lake Meredith supplies drinking water to eleven cities, including Amarillo and Lubbock. The park is in the Great Plains, and the plant and animal life are those of a shortgrass prairie ecosystem, made up of buffalo grass, purple three-awn, little bluestem, switchgrass, and side-oats grama. Hundreds of species of mammals, reptiles, amphibians, birds, fish, and insects live here, where trees and shrubs have been suppressed by arid conditions, natural wildfires, and the grazing of large mammals such as extinct species of bison and elephant. Padre Island National Seashore includes a 70-mile stretch of Padre Island off the Gulf coast of Texas, north of the spring break-magnet of South Padre. The long, narrow strip of land separates the Gulf of Mexico from the Laguna Madre, one of a few hypersaline lagoons in the world. From Port Mansfield northward to Park Headquarters near Corpus Christi, the park preserves 65.5 miles of coastline and the adjacent dunes, prairies, and tidal flats. Under Spanish rule, Padre Island was known as La Isla Blanca (White Island) and Isla de los Malaguitas (Island of the Malaquites), after the band of the Karankawa people who lived, hunted, and fished there. In 1554, the survivors of three shipwrecks found refuge on the island, and Spanish troops later made use of the location as well. The first permanent settlement was established in 1804, led by the Spanish priest Padre Nicolas Balli, who provided the island's modern name. All five of the sea turtle species who live in the Gulf visit Padre, among them the endangered Kemp’s Ridley sea turtle, which nests here. Loggerheads, leatherbacks, hawksbill and green sea turtles are all seen at Padre at different times of the year, and the island is also a globally important area for over 380 migratory, overwintering, and resident bird species, including nearly half of all the bird species documented in North America. Ranched for decades, today's Padre Island National Seashore environment is mostly prairie/grasslands with ephemeral marshes and ponds bordered on the east by the Gulf of Mexico and on the west by the Laguna Madre. The highest elevation is approximately 50 feet. In 1968, the U.S. Congress designated sections of the Rio Grande river a "Wild and Scenic River" because of its remarkable scenic, geologic, fish and wildlife, recreational, and other similar values. 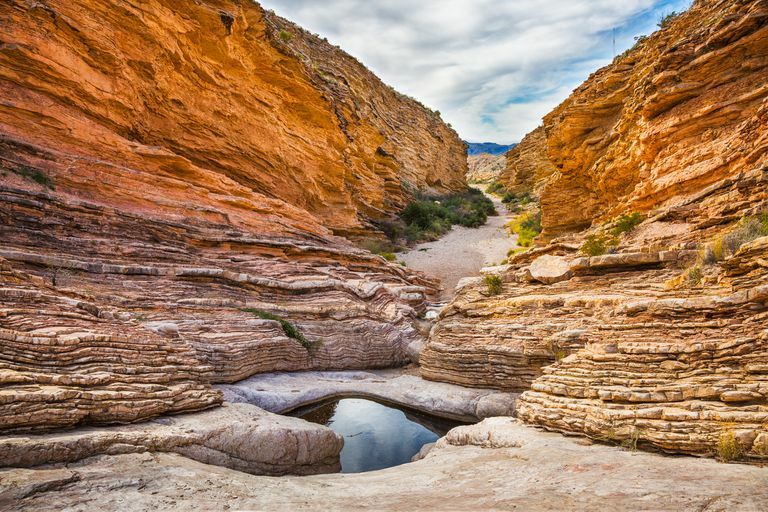 The designation includes just shy of 200 miles from Big Bend National Park to Amistad National Recreation Area, an environment that includes rugged canyons, verdant riparian areas, scenic rapids, and unspoiled views. The Rio Grande corridor is one of the few water resources for animals and plants in the Chihuahuan Desert. Eleven species of amphibians, 56 species of reptiles, 40 species of fish, 75 species of mammals, over 400 species of birds, and about 3,600 species of insects are found along the river's aquatic and riparian habitats. The Waco Mammoth National Monument, located on the Bosque River near Waco in central Texas, is dedicated to providing information to the public about the nursery herd—mothers and their offspring—of extinct elephants discovered at this location in the last decades of the 20th century. Between 1978 and 1999, the fossil remains of 19 Columbian mammoths were found here, all of which apparently died in a single natural event, between 65,000 and 72,000 years ago. At least six adult females and ten juveniles were apparently trapped and drowned in a flash flood of the Bosque. Standing as tall as 14 feet and weighing 20,000 pounds, Columbian mammoths were one of several huge mammals (called "megafauna") that roamed across the North American continent. In addition to the mammoth bones, researchers have found the remains of a Western camel, dwarf antelope, American alligator, giant tortoise, and the tooth of a juvenile saber-toothed cat. The fossil specimens at Waco represent the nation's first and only recorded evidence of a nursery herd of ice age Columbian mammoths. Dark Skies Make for Good Stargazing!